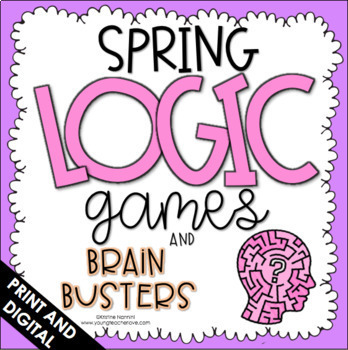 I created these logic & brain games as a fun activity to give to your students during spring (or anytime for enrichment). 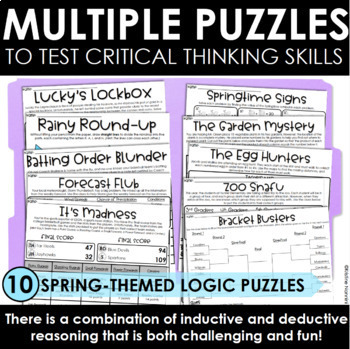 The games are spring-themed and ask your students to solve some problems that might pop up during the season. 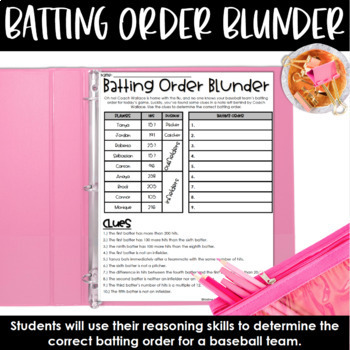 The puzzles include opening a leprechaun's lockbox, helping a baseball coach with a team's batting order, helping a meteorologist give a five-day forecast, using stats to determine the rosters of four basketball teams, filling out a college basketball bracket to find the champion of the tournament, planting a vegetable garden, and calculating the distance two children walk during an egg hunt. This resource contains ten logic games with answer keys. See the preview for more details about each activity. 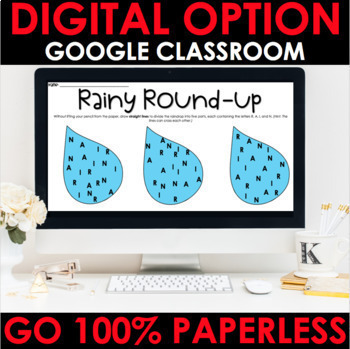 PLEASE DOWNLOAD THE PREVIEW TO SEE MORE OF WHAT'S INCLUDED IN THIS RESOURCE.